This is a prototyping board for Cubieboard with 1312 isolated soldering pads. All pins of Cubieboard are broken out to 2.54mm headers for jumper wire connection. Besides a VGA port is added on this board for monitor/TV connection. 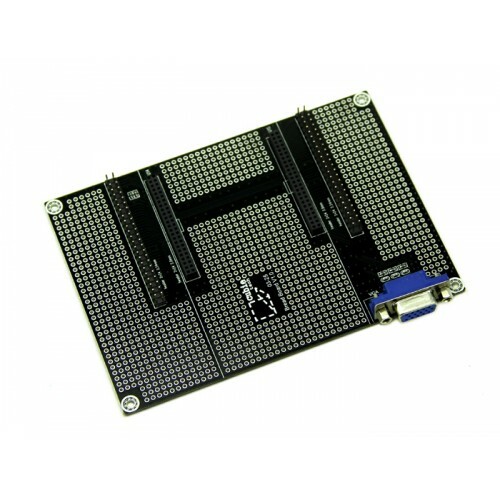 VGA is not supported by the default firmware of Cubieboard. To use it, please upgrade the firmwire. 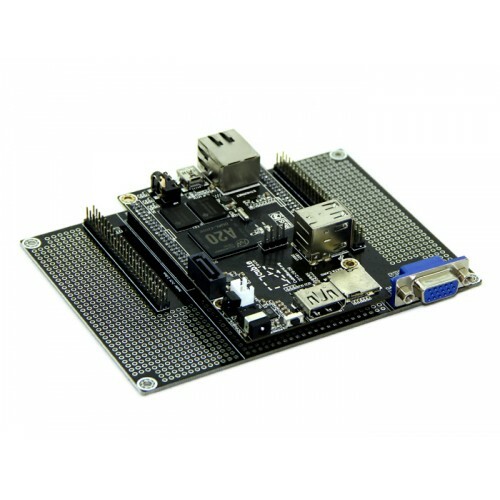 Compatible with Cubieboard and Cubieboard A20.